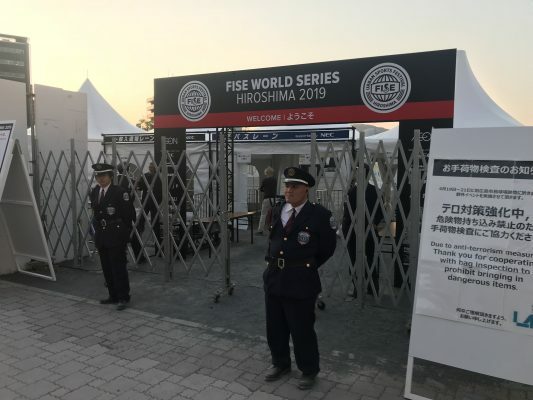 Just got done judging the Pro finals at the Fise World UCI Flatland World Cup here in Hiroshima, Japan. 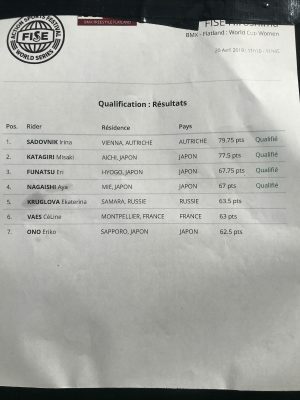 Congratulations to Ryo Katagiri who had the run of his life to take the first place position, Ryo was followed by Matthias Dandois and Dominik Nekolny in the third place spot. You can watch the whole show above, or the top three runs below. 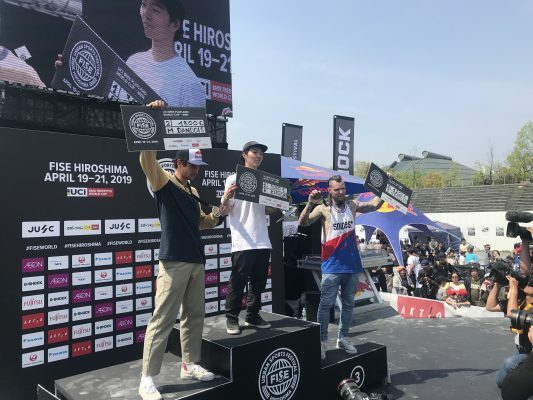 Congratulations to Dominik Nekolny who took the top spot in this afternoons semi final at Fise World, Hiroshima, Japan, Dom was followed by Jean William Prevost and Matthias Dandois on the podium positions. 16 riders battled for the top 8 spots, finals tomorrow. 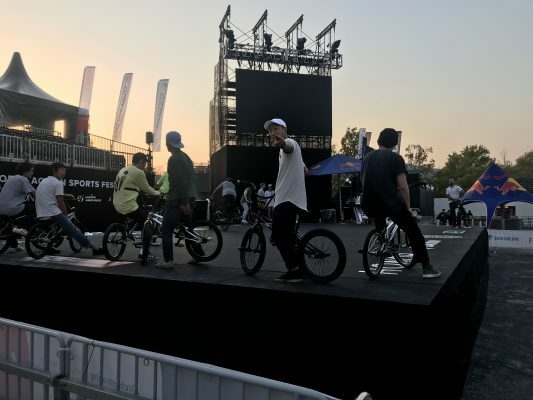 Loved watching some of the grassroots riding today at Fise World, Hiroshima. Low on numbers in the AM class but the quality was sky high. 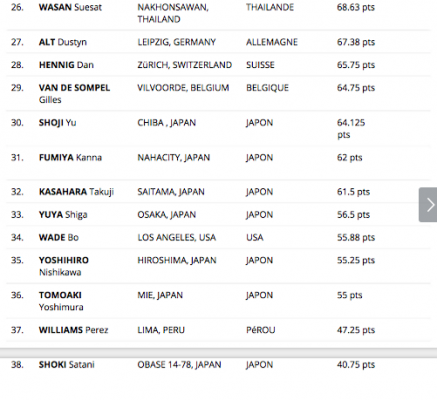 Congrats to Yuta Tsuruta who took the first place spot going into tomorrows final. Irina Sadovnik made the trip to Hiroshima, Japan and wow, what a story! Taking the top spot in qualifying today on her first trip to Japan, one for the memory books Irina! Congratulations! 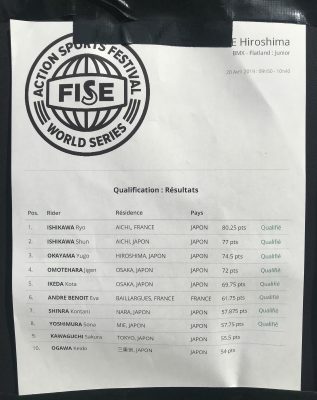 The level was awesome in the junior class here at the Fise World contest in Hiroshima, Japan. Congratulations to the young shredder, Ryo Ishikawa who took the top honours early today. Finals tomorrow. 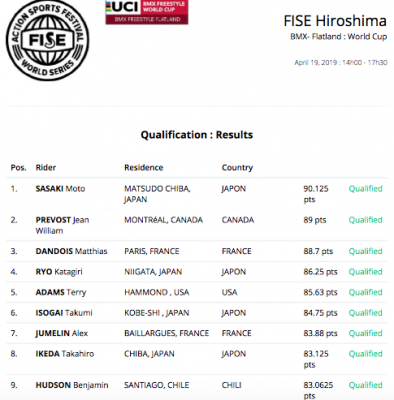 It’s been a good day at the Fise World contest here in Hiroshima, Japan. 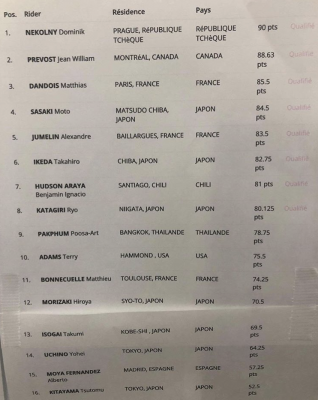 Congratulations to Moto Sasaki who took the top spot going into tomorrows semi finals, followed by Jean William Prevost and Matthias Dandois. 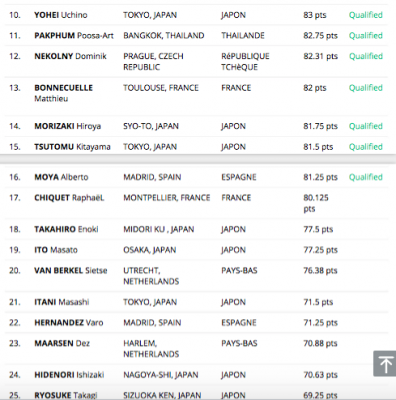 Top 16 make the Semis, 38 riders competed today with a really high level of riding going down. Semis tomorrow, and finals Sunday. Stay tuned for livestream updates. Today marked probably the longest trip I have ever been on. 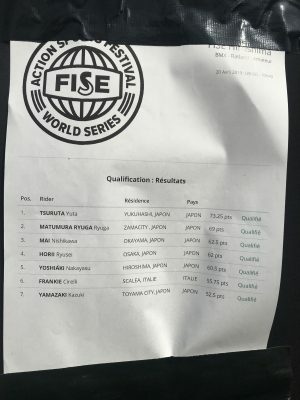 After a solid 25 hours door to door travelling time from FM HQ to the Fise World contest in Hiroshima, Japan. London Heathrow to Frankfurt onto to Tokyo then finally Hiroshima, couple in all the changes, going through customs etc, etc. It has been a long day, I met up with Michael Steingraber at Frankfurt who is judging with me in Japan. The great news is our host hotel is right next to the contest, absolutely banging! 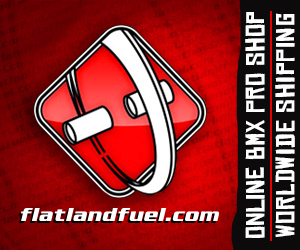 I took a quick look over at the site and bumped into Alberto Moya, Varo Hernandez, Dustyn Alt, Moto Sasaki, Taka, and many more. Around 30 riders on the floor getting warmed up, the spot was busy. 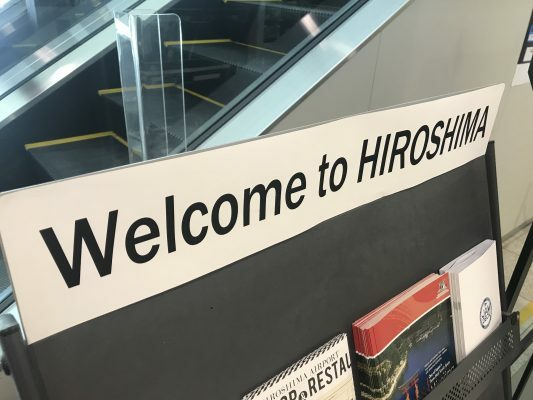 After a quick look around it was time for dinner and a look around Hiroshima, we have got a busy weekend ahead, I will try my best to get some updates for you throughout the weekend. (if not definitely after the event). The rider list is stacked, around 40 riders with a quick glance, so it’s going to be a good one! I am pretty tired from the trip so I will keep this one short and sweet.